The Avocado League will most likely be decided this week when its two remaining unbeaten teams face off for their fifth all-time meeting. 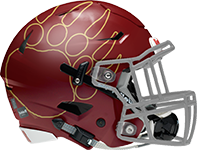 Powered by an explosive passing attack that features quarterback Jack Tuttle and deep-threat receiver Chris Olave, top-ranked Mission Hills has looked unstoppable this season, running through its opponents by an average score of 42-6. 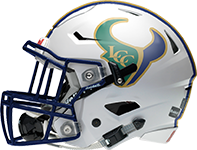 La Costa Canyon will be tasked with putting up points against a tough Grizzlies defense that hasn't given up more than 14 this season. The Mavericks boast a strong ground attack anchored by Karson Lippert, who exploded for over 300 yards and three scores in a 36-21 win over Carlsbad. During last week's win over El Camino, quarterback Jake Neufeld showed off his duel-threat ability by rushing for three touchdowns. The game is scheduled to be live streamed here. 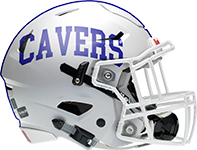 The Cavers are off to their best start since 1958, but their run will be put to its toughest test this week when they visit the Komets in a much anticipated battle for first place in the Central League. Propelled by the talented offensive trio of quarterback Quinn O'Connor, running back Raiden Hunter, and receiver Thomas Marcus, San Diego has outscored its opponents by an average of 41-8. Marcus, a transfer from the now-defunct Horizon Christian Academy, put up more than 2,000 yards and 24 touchdowns as the starting quarterback during the Panthers' Division V title run last season. 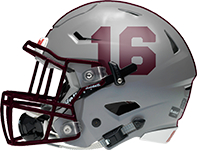 Kearny is looking to go 7-0 for the first time since 1991. They're led by senior running back Brenton Bell, who became the first player in the county to rush for over 1,000 yards this season. Bell also leads the section with 14 rushing touchdowns. In the passing game, Kenyon Williams will look to his leading receiver Devon Jones, who has 31 catches for 537 yards and seven scores. On defense, Jones also displays his ball hawking ability with five interceptions, while sophomore linebacker Josh Negron Riollano leads the team with 53 total tackles. Others receiving votes: El Camino (3-3, 15 points), El Centro Southwest (6-0, 5 points), Eastlake (4-2, 4 points), Valley Center (5-1, 4 points), St. Augustine (3-3, 2 points), Christian (5-1, 1 point), Grossmont (4-2, 1 point), Mira Mesa (5-1, 1 point). Voters: 28 sportswriters, sportscasters and officials from throughout the county -- John Maffei (San Diego Union-Tribune); Terry Monahan, Don Norcross, Tom Saxe, Rick Hoff and Jim Lindgren (freelance writers); Paul Rudy, Brandon Stone and Rick Willis (KUSI-TV); Adam Paul (ECPreps.com); Ramon Scott (EastCountySports.com); Bodie DeSilva (sandiegopreps.com); Ted Mendenhall and Taylor Quellman (The Mighty 1090); Steve Brand (San Diego Hall of Champions); Troy Hirsch (Fox 5 San Diego); Rick Smith (Partletonsports.com); Jerry Schniepp, John Labeta and Carlton Hoggard (CIF San Diego Section); Raymond Brown (sdfootball.net); Montell Allen (MBASports-SDFNL magazine); Bob Petinak (1360-AM); John Kentera (prep talent evaluator); Steve Dolan (Mountain Country 107.9-FM); Jim Arnaiz, Mike Dolan and John Carroll (San Diego Section football tournament directors).